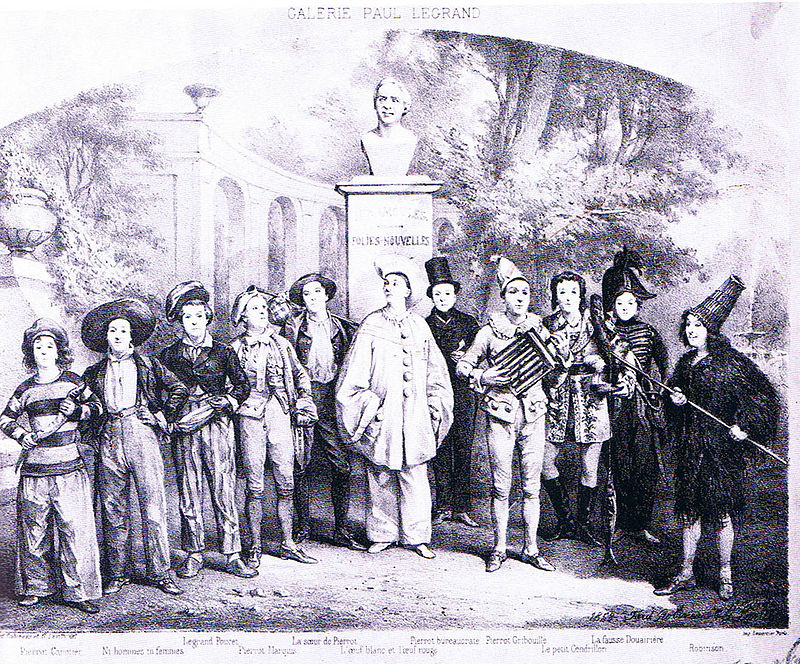 Legrand, Paul (1816-1898): Made his debut in 1839. He joined the company at the Théâtre des Funamules under the great mime, Jean Gaspard Debureau. He played roles he was not enthusiastic about, but when his master died, he donned the white blouse and wide pantaloons of Pierrot. He appeared at the Adelphi in the 1847-48 season in two roles--one a mute and the other his beloved Pierrot.